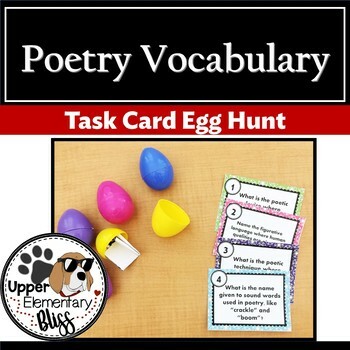 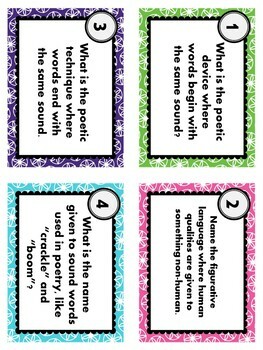 Your students will be completely engaged with these poetry vocabulary task cards. 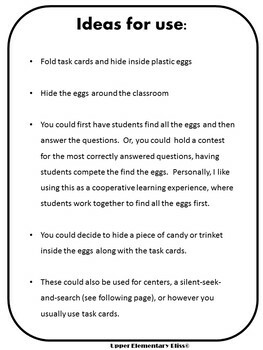 Hide them inside of eggs to increase the engagement! 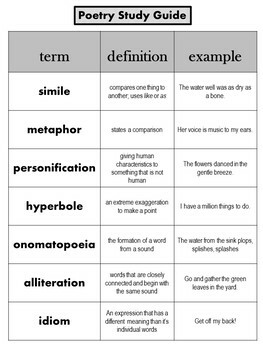 alliteration, idiom, hyperbole, personification, metaphor, simile, speaker, theme, author's purpose, mood, symbolism, repetition, stanza, rhyme, rhyming couplet, rhyme scheme, and imagery.